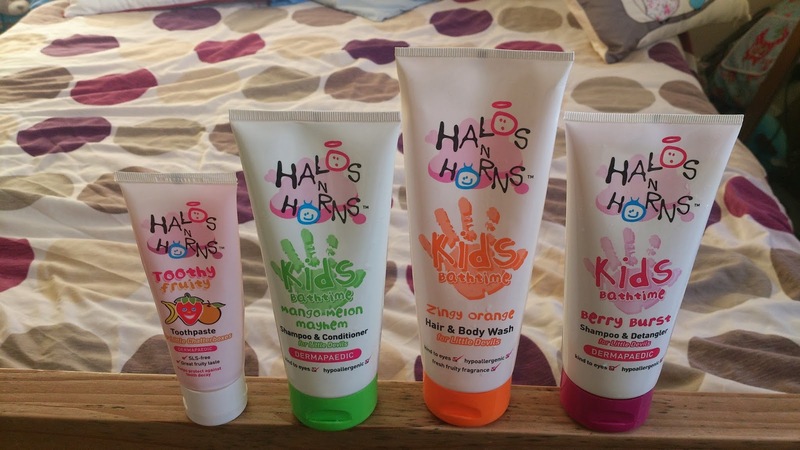 I was recently very lucky to recieve some products from Halos N Horns to try out with James (we were also sent items from there baby range but these will be in a separate review once baby no2 arrives to review them!). Halos N Horns make fun and affordable bubble baths, shower gels, shampoos and toothpaste for babies and children that are made from natural ingredients and dont contain any nasty chemicals. Halos N horns provide delicate fruity bath products for even the most sensitive skin! And this is what really drew me to these as James has really sensitive skin and I loved the fact that halo N horns say NO to lots of the chemicals that are usually found in bath products and these are not found in Halos N Horns products resulting in a product that is delicate to all skin types!! lovely and fruity and really fiilled the bathroom with delicious fruity smells when they were used. They also apply really well and lather up well so washing is quick and easy. 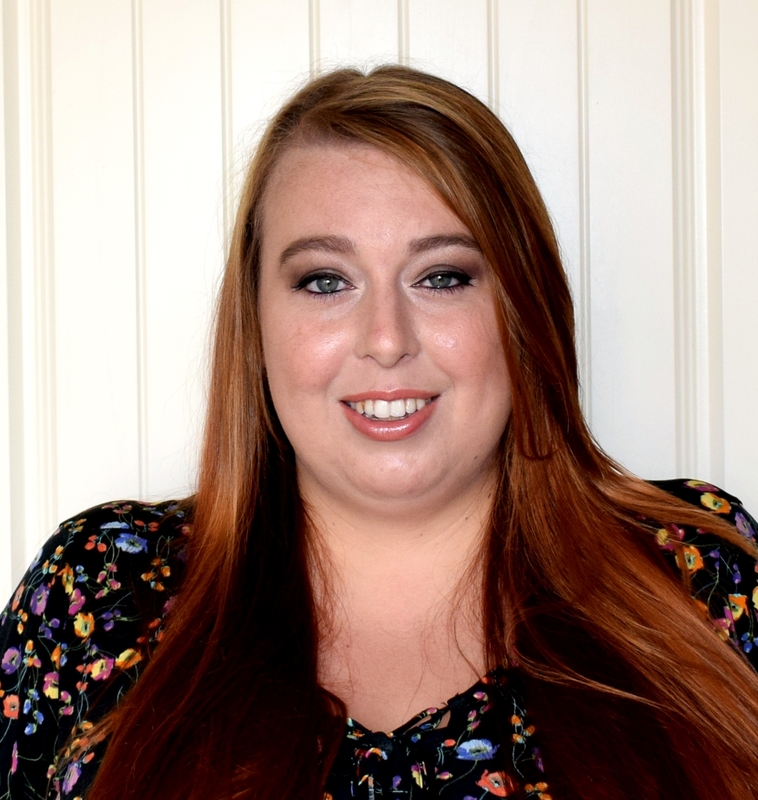 I really liked the mango melon mayhem shampoo and condition because it was shampoo and conditiomer combined it meant only one lot of hair washing! Also as an added bonus it can be used as an all over body wash! James favourite was the toothpaste! Cleaning his teeth is not one of james favourite past times however since trying out the fruity toothpaste hes actually been asking to clean his teeth! James loved the fruity flavour and much preferred it to the mint flavour normally found with toothpaste. 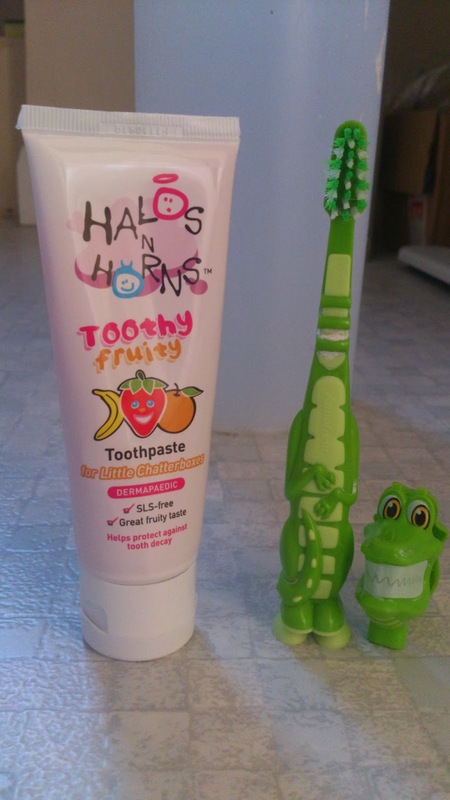 Overall we loved the Halos N Horns products and will deffinutly continue to use them in the future. 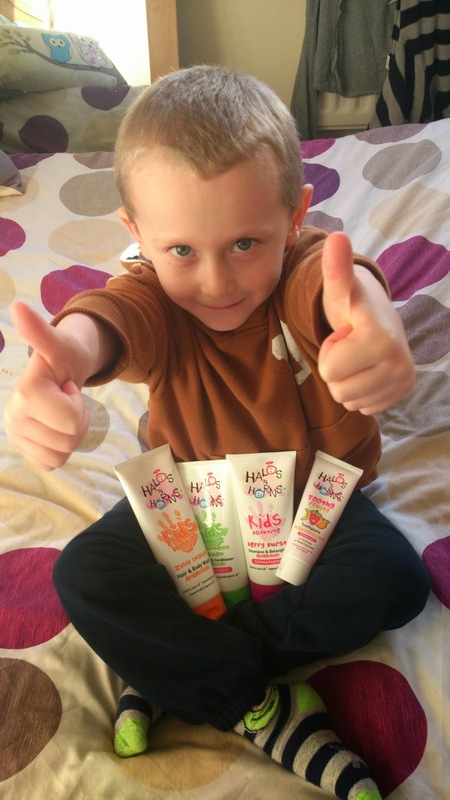 James has had no problems with any of the products despite his very sensitive skin and so Halos N Horns get a big thumbs up from us!!! 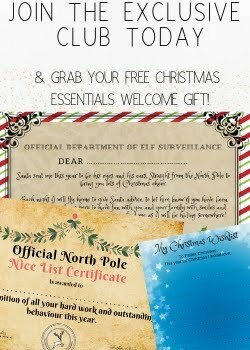 You can find out more about the products and the Halos N Horns brand here.... Halos N Horns website! * I was not paid for this review. All opinions given are my own.. As a thank you for my review, I was allowed to keep the product. I have never heard of this make but it sounds like fun.